Oftentimes, when someone is leaving the organization, we ask them to complete an Exit Interview. We conduct this in person, on line or via paperwork they need to fill out. In this Exit Interview, we ask them many questions about their job with the organization (e.g., how they felt about their supervisor, hours worked, work load, benefits, and pay). 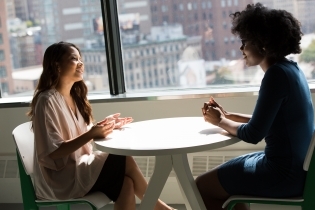 Exit Interviews can contain valuable information, although too often they are filed away until there are enough of them to compile a useful report of the findings and still keep anonymity of who completed them. Why do we conduct Exit Interviews? Exit Interviews are done to gather information based upon a person’s past experience within our organization. Based upon that past experience, we can then adjust or improve the organization moving forward based upon their feedback. The difficulty with Exit Interviews is you are trying to determine a trend of what needs improvement or adjustment based upon someone’s feedback who is no longer working for you. Now, what if we asked current, invested employees with the organization to let us know what needs to be adjusted or improved? Like the Exit Interview, we would be able to compile information from which we can make organizational improvements. Although, unlike the Exit Interview, Stay Interviews are conducted with employees who are currently working for you and have a vested interest in improvements to their work environment. With the fierce competition in today’s market for employees, it is much better to ask individuals about staying with the organization verses why they have chosen to leave. It is not to say why they are leaving is not important, but the ability to change their mind on leaving the organization is not likely. Stay Interview questions are not just limited to employees. Many of these same questions can be used or altered minimally to gain insight from patients or customers. Each of the questions provide needed insight to make decisions, learn what you are doing well and what with the organization needs improvement. Not only do your employees begin to feel heard by you but also, they begin to contribute to outcomes that make the organization better. If you had a magic wand and you could wave it, what would you change? How can we help you do your best work? What tools would you like that you don’t currently have? What in the last 3 months has frustrated you the most at work? What does a great day at work look like to you? What makes you feel proud to work here (besides the mission)? What skills do you have that we haven’t made the most of? What makes you want to come to work? How have you contributed to the environment that exists here? What are your suggestions on how to improve (this could be culture, environment, team work etc…)? When you begin to utilize the Stay Interview questions, it is best to have someone conduct the interview one on one. The interviewer should be someone who can remain objective and be a good listener. The reason for this is that you are asking people for their opinions and you really want the answer heard. If the person conducting the interview is not objective, they begin to defend the status quo of the organization and this will not solicit and environment of trust or a willingness to participate in the process for the interviewee. Once you have asked for feedback on a couple of the questions and the responses have been compiled, you many begin work on the plan of action. Because current employees, patients or customers have been involved in this process, it is important to keep them up to date on the progress of improvement. Because of this, you don’t want to ever ask a question that you are not ready to, or willing to work on wholeheartedly. Additionally, it is best to only work on one or two questions at a time, because people need to see the organization is willing to take the steps to improve and they will discontinue to participate if they are not seeing any progress. Remember, close to 100% of your current employees were at one time excited to be hired at your organization, believed in its mission, were fine with the pay you offered, were sold on your work culture and were excited to be part of such and outstanding team! If they are working for you – they want to work for you so go ahead and ask them what insights, they have to make it an even better place to work! 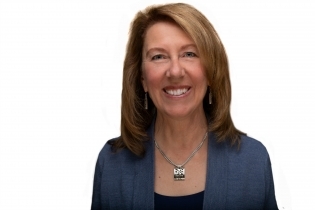 Ann Hogan is an employee retention and recruitment expert, HR Consultant, trainer and speaker. She has a master’s degree with a focus on Organizational Performance and Change and is a graduate of the University of Washington Community Health Leadership Institute Certificate Program. She works with organizations to improve retention, customer and employee satisfaction, and communication. Ann can be reached at 303.916.6439 or ann@annhoganconsulting.com. Ann Hogan Consulting provides professional, strategic and analytical services in Human Resources, Training and Consulting to meet your organization's needs.